There has been significant commentary about the apparently overwhelming number of ‘celebrity’ deaths in 2016. 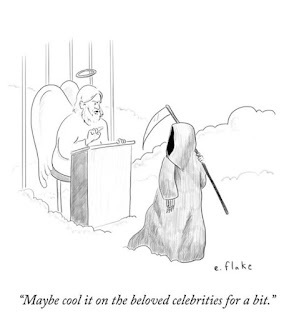 There are many who are suggesting however that 2016 merely marks the start of the ‘new normal’ in relation to the death rates of well-known celebrities. 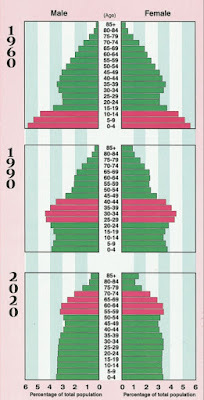 The socioeconomic impact of the baby boomer generation as it has moved through the lifecycle is well documented. 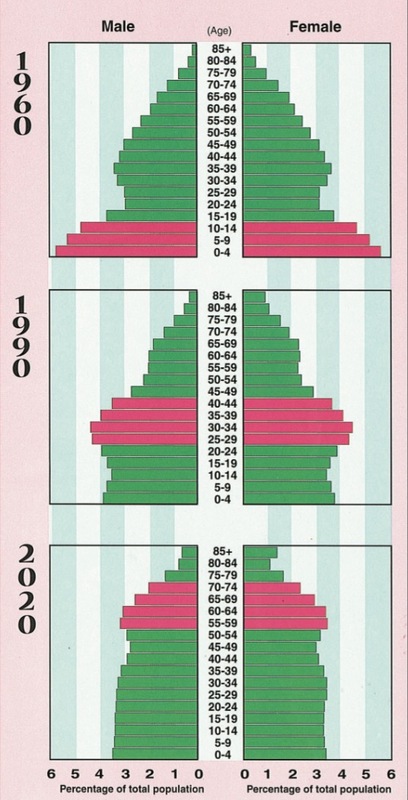 As the following graph demonstrates, even the youngest baby boomers are now in their 50s, and the oldest are into their 70s. While the baby boomer generation has caused a ‘bubble’ at each other stage of their lifecycle, because of the way life expectancies are spread, it is likely that instead of a bubble, there will be instead a jump up in overall deaths that will be sustained over a long period – in other words, reinforcing the idea that 2016 may simply be part of the new normal for deaths of popular culture icons. One key, although often overlooked, aspect of this theory in popular culture was the timeframe over which popularity of something evolved and maintained cultural interest levels. Throughout the era of key popularity for baby boomer icons, the lifecycle of popularity was at least 10 years, and in many instances far longer. 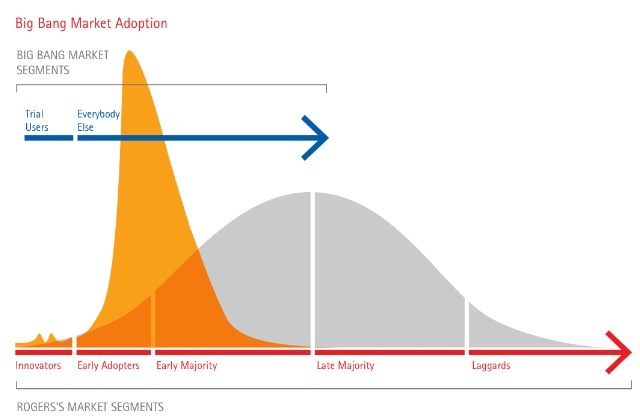 Primarily driven by technology innovations, Big Bang Disruption theory shows that the lifecycle of popularity in the post iphone era is as a general rule significantly shorter, although often more intense than in the earlier modern eras. In other words – think (in western culture) Gangnam Style by Psy (see - https://www.youtube.com/watch?v=ASO_zypdnsQ) the most watched YouTube music video ever with around 2.8 billion views, as compared to (say) the sustained successful career of Madonna which arguably started on Countdown in 1984 – see https://www.youtube.com/watch?v=_QB9YVxn1xo. The distinctions between the two theories are best explained by the following diagram. 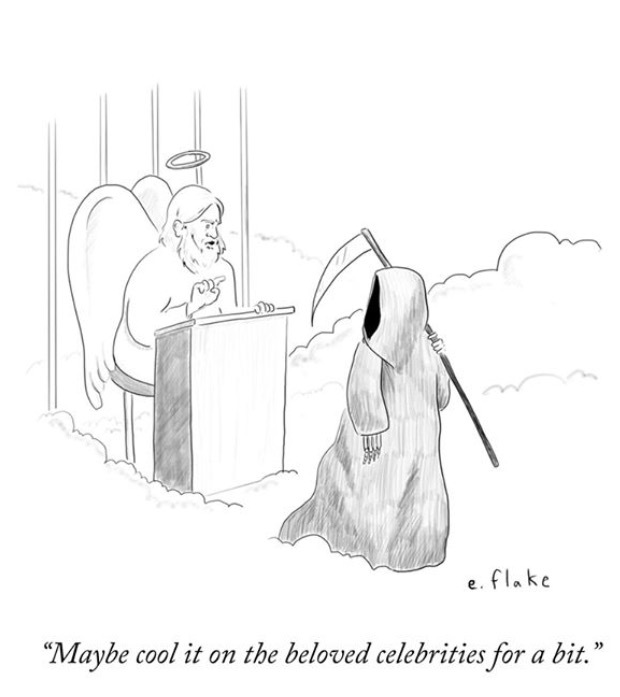 The historically sustained period of popularity and the sheer size of the baby boomer generation therefore will arguably combine to mean that in the future, 2016 will not be seen as an outlier year for celebrity deaths. 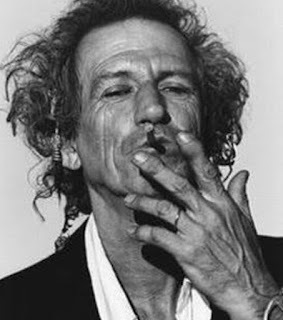 As with any theory however, there will be exceptions, and in this space, the exception is arguably the rule that is Keith Richards. Few can name a harder living baby boomer celebrity, and yet without wishing to trigger a Murphy’s Law outcome, at the age of 73, Richards continues to defy most commonly held assumptions about his life expectancy.